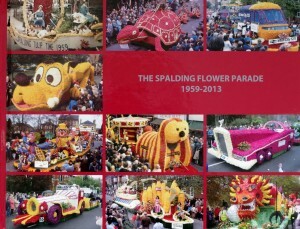 A NEW BOOK has been created and published by Bryan Simpson telling the story of the 55 years of the Spalding Flower Parade through more than 250 colour photographs. It also includes a short history of the bulb industry and the Parade. The front cover and the full text of this history from the book are set out below. A limited number of these books which are in A4 landscape format with hardcover and protective book slipcase are available for purchase. 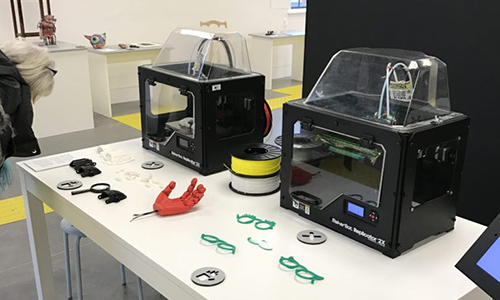 Please enquire to Bryan by email to bryansim@lineone.net or by phone on 01775 722878. SPALDING has been at the centre of the bulb industry in this country since it was first established towards the end of the nineteenth century. Not only did this industry bring prosperity to the town and surrounding area but it gave, through the media of the Tulip Fields, Flower Parade, Springfields and the many church flower festivals, a springtime spectacle of unsurpassed beauty. Spalding became established among the leading tourist attractions of this and other countries throughout the world. 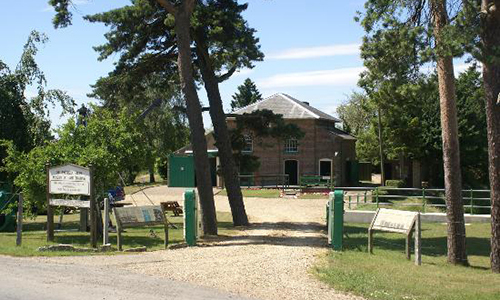 Visitors to the area are invariably surprised, not only by the flat landscape of the fens, but also by the intricate network of rivers, streams and dykes that drain the land. 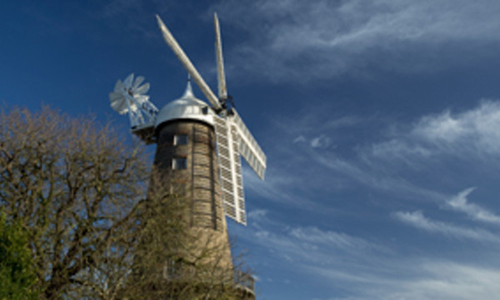 The engineering feat, by which man drained, reclaimed and enclosed nearly three quarters of a million acres of fenland, began in the seventeenth century. Without this fenland miracle Spalding would still be virtually a marshland island and the bulb industry and Tulip Time, as we came to know it, could never have been. Much of the credit for the drainage and reclamation of the land must go to a Dutchman, Sir Cornelius Vermuyden, who came to this country in the early seventeenth century. Vermuyden was responsible for draining some 307,000 acres of fens known as the Bedford Level. This gave the necessary impetus to the complete drainage of the whole area, and conversion of 700,000 acres of swamp and marsh into highly fertile agricultural land. Vermuyden was followed to this country in 1635 by fellow-countrymen and drainage engineers, Philibert and Abram Vernatti. Some years later Philibert, now Sir Philip Vernatts, undertook a great deal of the drainage in south Lincolnshire and in particular engineered the cutting of the famous Vernatts Drain which stretched from the mouth of the Welland, through Spalding to Pode Hole. The silt soils of the area around Spalding subsequently proved to be ideal for growing bulbs, due mainly to their similarity in texture to soils in parts of Holland in the Netherlands where bulbs are also grown extensively. Commercial bulb growing started in the Spalding area in a small way about 1890. At this time the Darwin Tulip was introduced and its potential as a cut flower was soon realised. Within a few years the first bulb-forcing experiments were to begin under glass. The dry bulb trade, which did not start until about 1918, really accelerated in the 1930s and continued to expand steadily. The few acres of 1890 had grown to 3,700 by 1939 and continued to expand eventually reaching in excess of 10,000 acres. By the 1920s and 1930s such was the growth in the acreage and variety of bulbs grown that in springtime the area surrounding Spalding became a feast of colour resembling a gigantic rainbow spanning the countryside for weeks on end. By word of mouth the fame of the Tulip Fields spread and the trickle of visitors grew yearly until 1935 when the King George V and Queen Mary Jubilee coincided with Tulip Time. The bulb growers, in celebration of the event, planted their fields with the emphasis on red, white and blue tulips, and the resultant publicity brought Spalding and the Tulip Fields into the nation’s spotlight. The crowds that came in 1935 created many problems for the town, not the least of which was traffic. Coaches and cars literally caused chaos on the narrow lanes around the fields. Following this an official Tulip Time Committee was formed to plan a route for future years which would direct the traffic to the fields, using a one-way system. The committee also took over the responsibility for other aspects of Tulip Time, with particular emphasis on the problems created by the large numbers of visitors. A Tulip Queen competition was organised annually and the crowning of the queen was performed just before the start of Tulip Time. Each year revealed a marked increase in the number of bulbs grown for the dry bulb trade as opposed to growing for flowers. It is an essential operation in growing such bulbs that the tulips are headed, the flower head being removed from the stem while it is still flowering. This encourages a more rapid development of the new bulbs as well as preventing the petals falling on foliage, rotting, and possibly causing a disease known as ‘tulip fire’. Heading the tulips naturally shortened the visual life of a field especially when so often they were headed in their prime. Another problem was therefore created for the Tulip Time organisers. Although a tulip field in full bloom was a sight to behold, within the space of a day a grower could turn a carpet of colour into a field of waving green stems and foliage – hardly a sight worth travelling many miles to see. Consequently some visitors were going to be disappointed with the Tulip Fields. However, from the millions of tulip flower heads removed from the plants in full bloom was to start, in 1959, the ‘Spalding Flower Parade’. Within a few years it was to become world famous and more popular than even the Tulip Fields themselves. The Spalding Farmers Union and South Holland Horticultural Association, with admirable foresight, organised the Flower Parade. The Dutch artist Adrianus W. van Driel was engaged to design the floats for the event and subsequently his son Kees van Driel, who had assisted his father in the early days of the Parade, took over responsibility for the Parade design. The designs for the floats were magnificent but it is true to say that such skill went into their making that the completed floats more than did justice to their original designs. 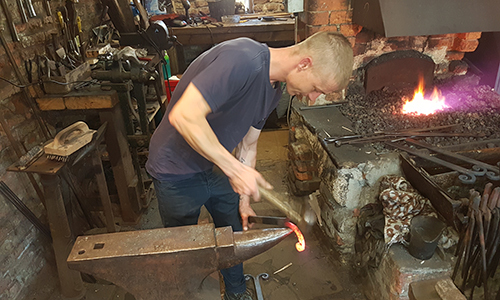 The initial form and steel skeleton of each float was skilfully constructed by local blacksmith Geoff Dodd into the outline shape of the subject. Until 1985 the steelwork was then covered with a special straw matting to form a base to receive the flowers. Polyethylene foam later replaced the use of straw matting. The final stage was reached twenty four hours before the actual Parade when hundreds of volunteers worked into the night weaving the delicate patterns in flowers. Each tulip head was deftly secured to the base with a wire pin until the whole float was literally covered with tulips. 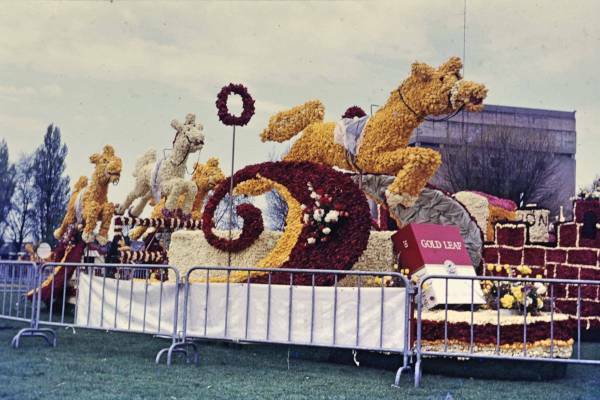 Some of the very large floats could be as much as fifty feet in length and decorated by as many as half a million tulip heads, supplemented by numerous individual flower arrangements created by the local Flower Lovers Club. 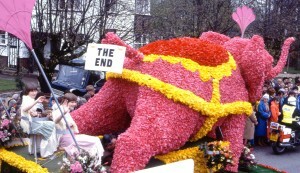 Other colourful spring flowers and materials were also used to complement the floats designs. The result was one of indescribable beauty and it was not surprising that even visitors returning year after year still gasped with astonishment at the wonder of it all. Within only three years of its inception the Parade had become so famous that up to a quarter of a million people were coming to Spalding on Parade Day to line the three-mile route. 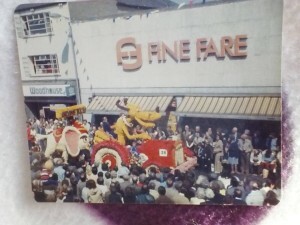 Soon the organisers were to extend the Parade to include a four-day static exhibition at which the floats could be examined in detail at a distance impossible to achieve on Parade Day. Sadly 2013 was the 55th and final year of the Spalding Flower Parade. For all that time not only had it been the highlight of the year for the people of the town and the area but it also, as the fame of the Parade spread throughout the country and around the world, brought large numbers of visitors into the area every year. There had been a steady decline over a number of years in the acreage of Tulips grown in the area as local growers moved to more economical crops. Also, the costs of putting on the Parade had risen substantially contributing to a number of float sponsors and eventually the local councils withdrawing their financial support. The Parade was no longer viable. However, the glorious years of the Spalding Flower Parade which gave pleasure to so very many people will long be remembered and this Photobook will help to ensure that those glory years are recorded forever. This book can only show a selection of the many floats and people taking part but I am sure they are a true representation of the remarkable beauty and magnificence of the Spalding Flower Parade. It is also a tribute to the many who have contributed to making the Parade such a success over so many years. For more than half a century, with substantial help and support from photographic friends and family, I have organised the photography of the Parade and provided copies of the resulting images to the Parade Organisers and also as souvenirs to the visiting public. It has been my privilege to do so.